The American Meditation Institute (AMI) in joint providership with the Albany Medical College, will present the sixth annual mind/body medicine CME conference on meditation and Yoga Science for physicians and other health care professionals, November 5-9, 2014 at the Cranwell Resort and Spa in Lenox, Massachusetts. Entitled The Heart and Science of Yoga, this 30-hour CME conference offers a comprehensive curriculum in meditation instruction, gentle yoga, diaphragmatic breathing, Ayurveda, Yoga psychology, mind function optimization, the Chakra system as a diagnostic tool, Epigenomics, Functional Medicine, lymph system detoxification and nutrition. The more consistently the therapeutic practices of meditation and yoga are incorporated into the daily lives of physicians and patients, most symptoms of stress related burnout and chronic complex diseases can be diminished or eliminated. 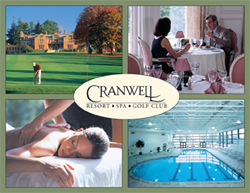 The American Meditation Institute] (AMI) in joint providership with the Albany Medical College, will present the sixth annual mind/body medicine CME conference on meditation and Yoga Science for physicians and other health care professionals, November 5-9, 2014 at the Cranwell Resort and Spa in Lenox, Massachusetts. Entitled “The Heart and Science of Yoga,” this 30 hour CME conference offers a comprehensive curriculum in meditation instruction, gentle yoga, diaphragmatic breathing, Ayurveda, Yoga psychology, mind function optimization, the Chakra system as a diagnostic tool, Epigenomics, Functional Medicine, lymph system detoxification and nutrition. Each faculty member at this year’s CME conference is committed to the advancement and training of Yoga Science as holistic mind/body medicine. Presenters will include Leonard Perlmutter, AMI founder, meditational therapist and award-winning author; Mark Pettus MD, Director of Medical Education and Population Health at Berkshire Health Systems; Susan Lord MD, faculty member and holistic health consultant for Kripalu Center for Yoga and Health; Kathie Swift MS RDN LDN, leading educator, practitioner and author in the field of integrative nutrition; Beth Netter MD MT, holistic physician and acupuncturist, Albany, NY; Rosy Mann BAMS, Ayurvedic practitioner specializing in women’s health and senior faculty member of Kripalu School of Ayurveda; Jenness Cortez Perlmutter, co-founder and faculty member of The American Meditation Institute. Since 1995, Mr. Perlmutter has lectured extensively on the health benefits of meditation and yoga as mind/body medicine, including talks at the M.D. Anderson Cancer Center, Albany Medical Center, Stratton VA Medical Center, Berkshire Medical Center, University of Colorado Medical School, University of Wisconsin School of Nursing, Washington University Medical School, the United States Military Academy at West Point, and the Commonwealth Club of California. He also served on a distinguished New York Times panel of Yoga experts with Dr. Dean Ornish. Noted physicians Mehmet Oz (Dr. Oz), Dean Ornish, Bernie Siegel and Larry Dossey have endorsed Mr. Perlmutter’s treatise on Yoga Science, which serves as the primary curriculum for the conference. The American Meditation Institute is a 501(c)3 non-profit educational organization devoted to the teaching and practice of Yoga Science, meditation and its allied disciplines as mind/body medicine. In its holistic approach to wellness, AMI combines the healing arts of the East with the practicality of modern Western science. The American Meditation Institute offers a wide variety of classes, retreats, and teacher training programs. AMI also publishes “Transformation” a bi-monthly journal of meditation as holistic mind/body medicine. Call 800.234.5115 for a mail or email subscription.